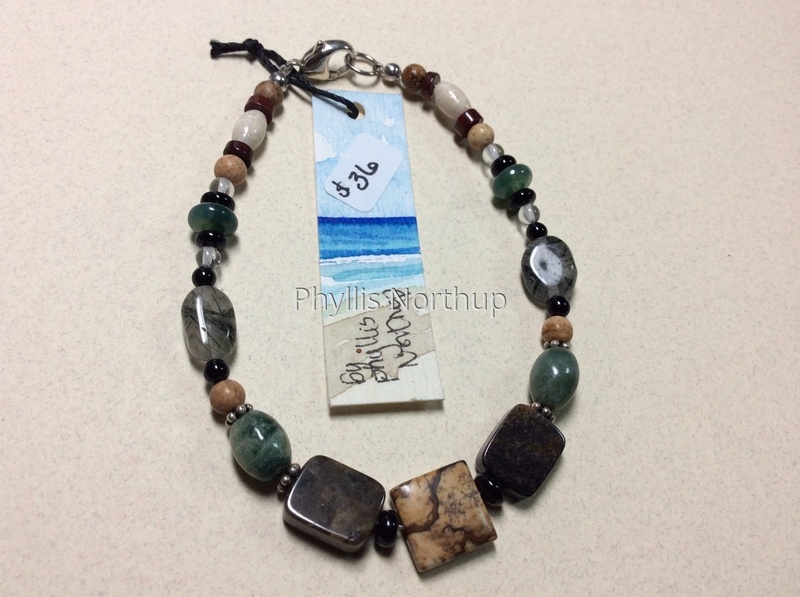 The center Picture jasper stone is a particularly beautiful one with a gorgeous pattern. The agates are lovely as well, with jaspers, quartz, onyx and river stone completing the design. Bracelet is approximately 7 1/2" .